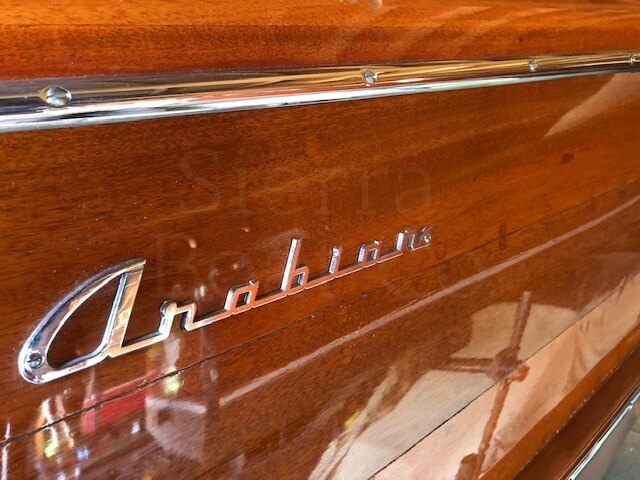 The 1957 Arabian is perhaps one of the best-looking Arabian’s ever built. 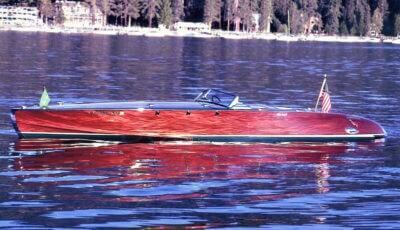 It is estimated that 41 were produced and we have only accounted for 10 over the last 25 years. 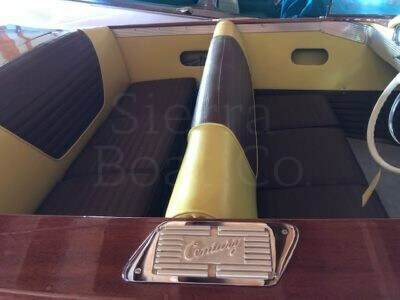 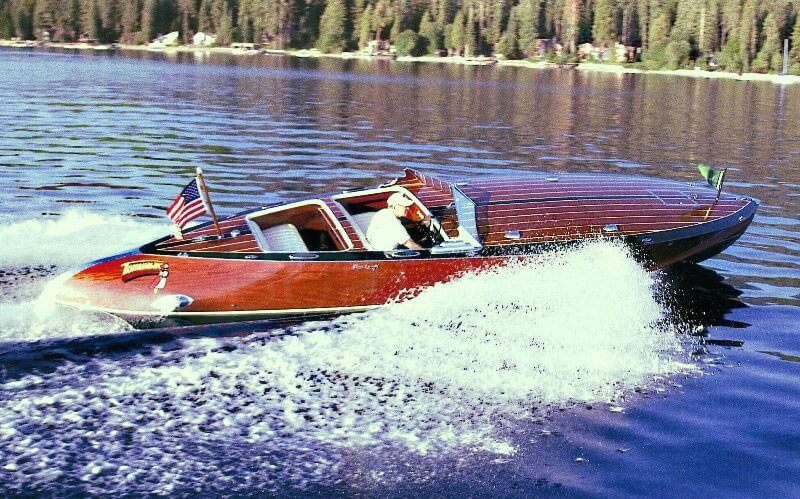 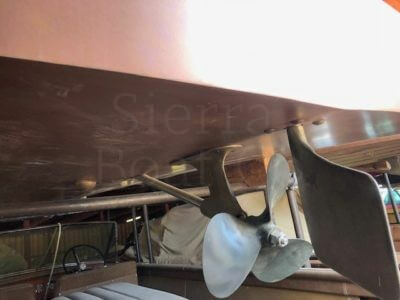 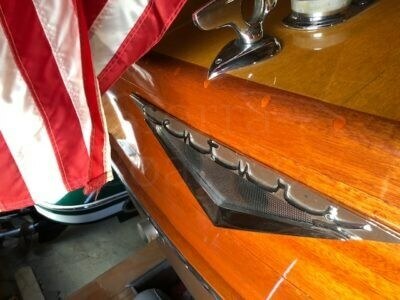 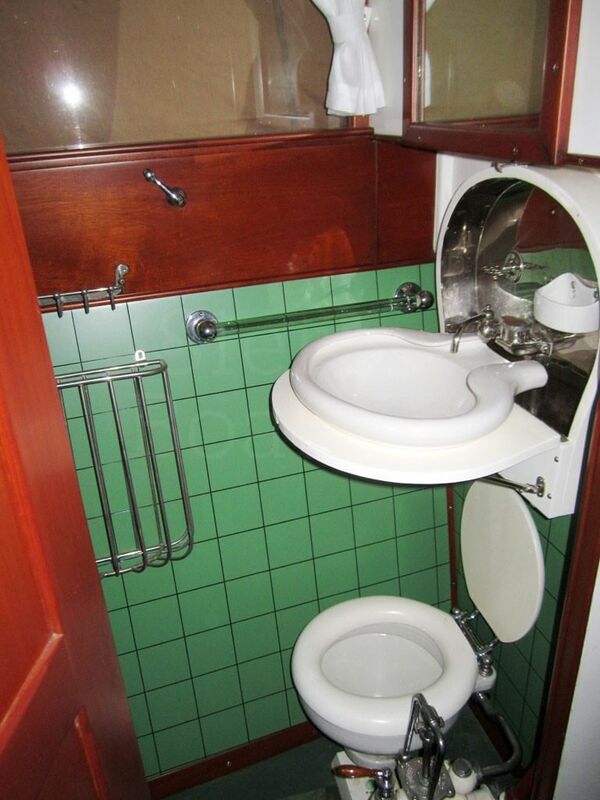 These are very rare largely because the buying public was finding utility boats, like the Resorter and Coronado, to be more usable than the traditional cockpit designs. 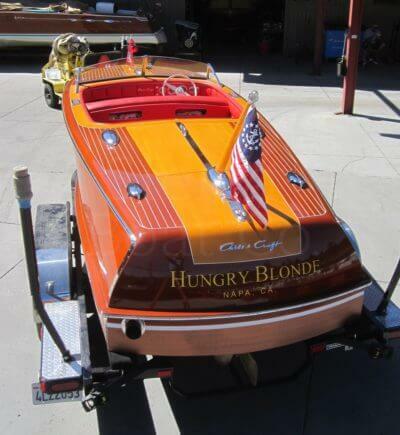 This boat was designed to go head to head with the Chris Craft Capri. The Arabian had a great advantage over the Capri in that it was available with far more horsepower. 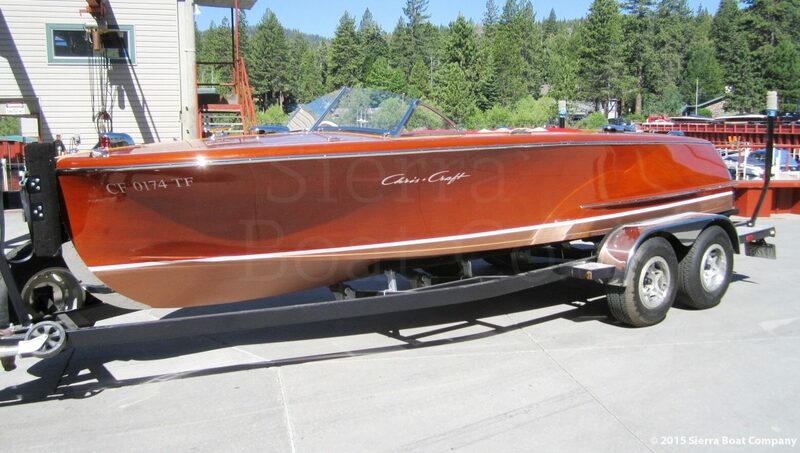 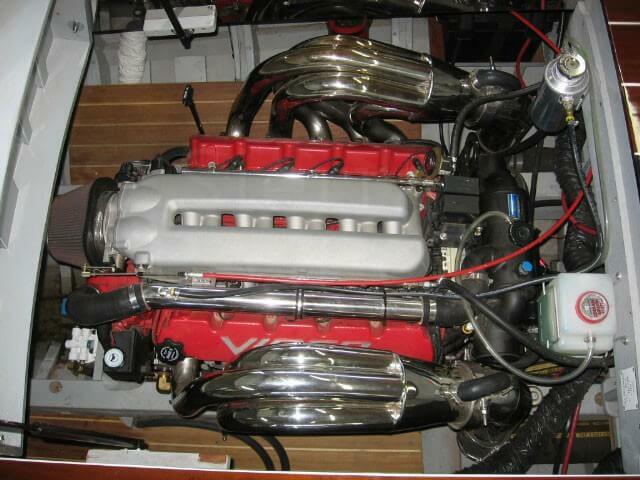 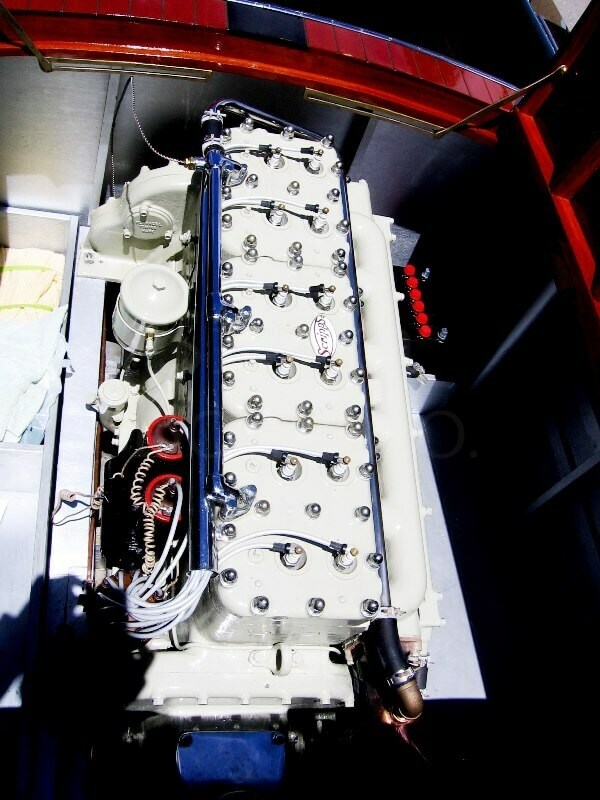 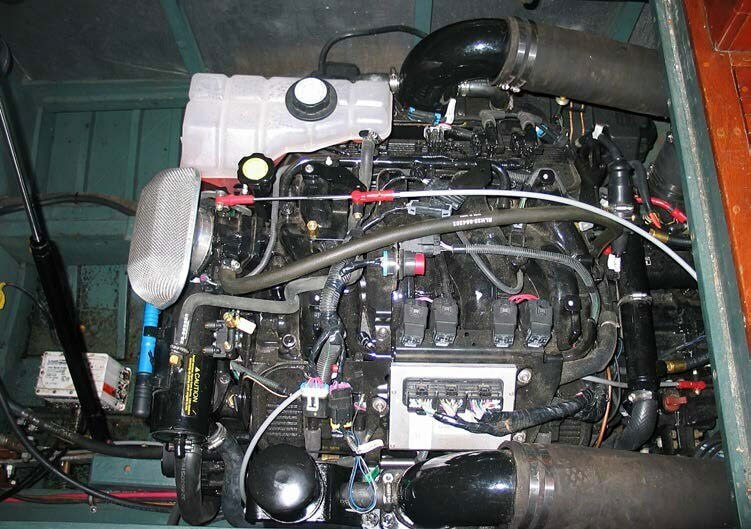 This example comes with the 215 hp Ford Interceptor engine that performs well at high altitude here at Lake Tahoe. 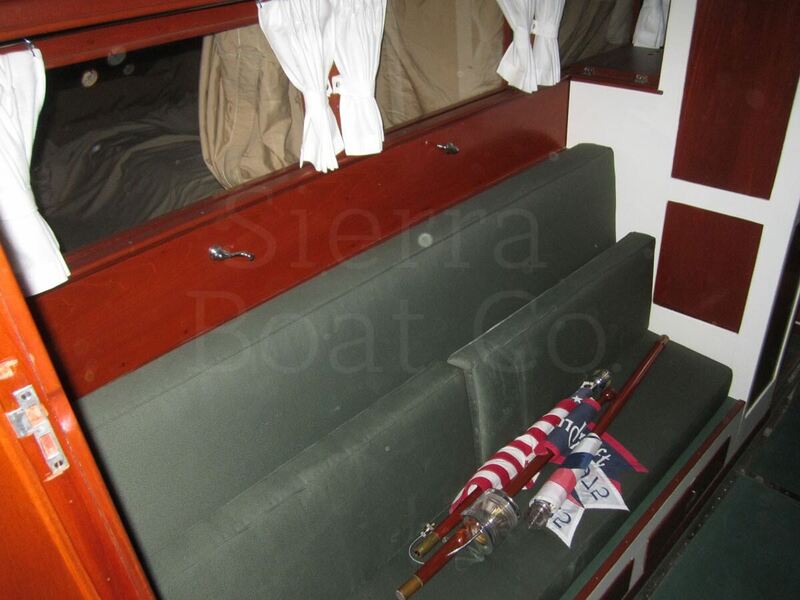 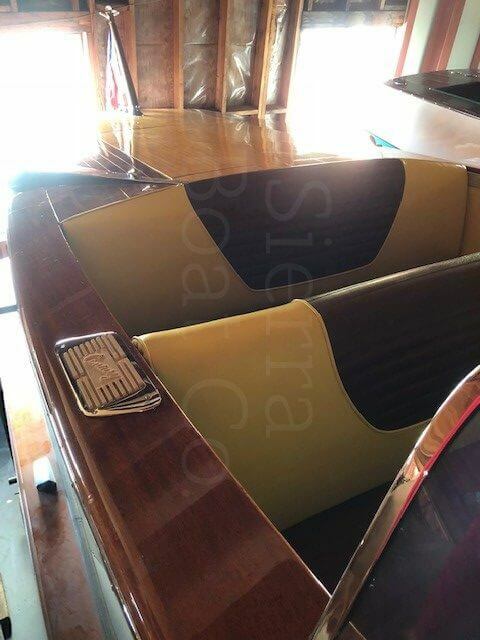 Sierra Boat did a complete restoration on this boat in the fall of 2004 and the boat has not been used since. 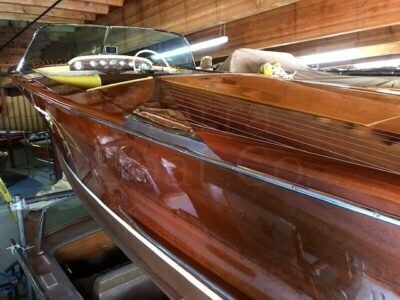 The project started with a west system bottom for no soaking and fresh varnish all around. 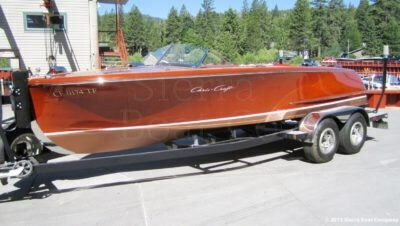 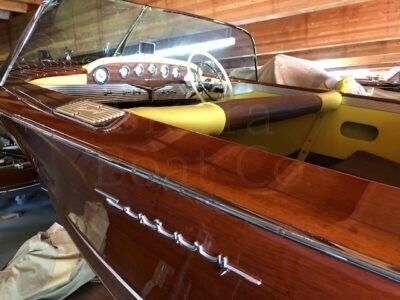 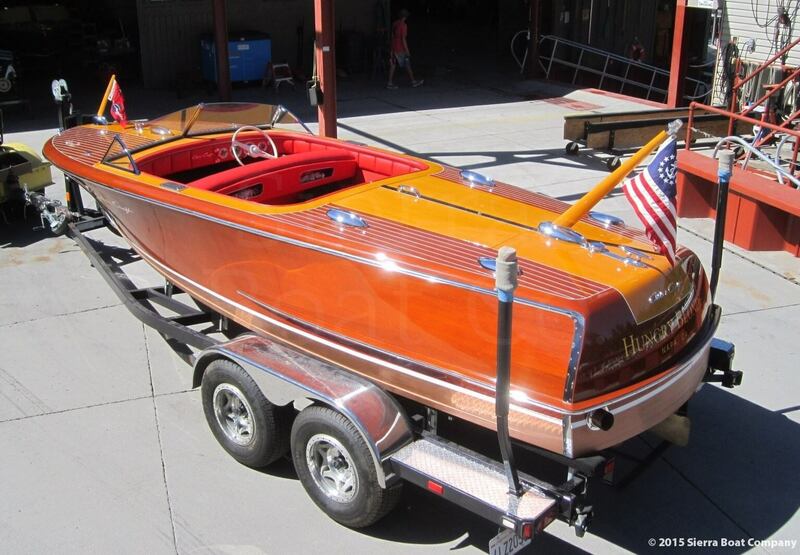 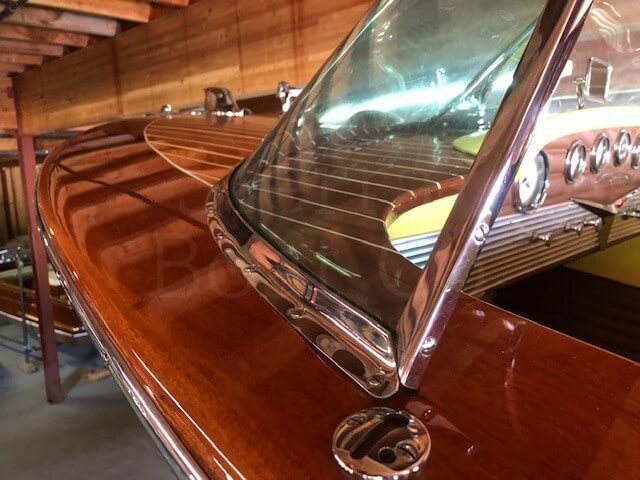 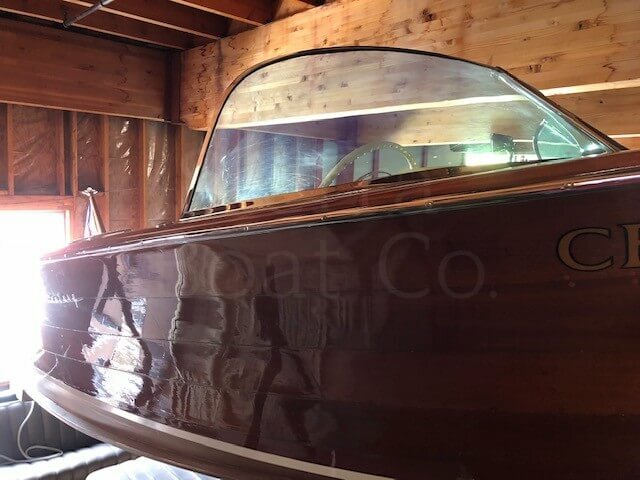 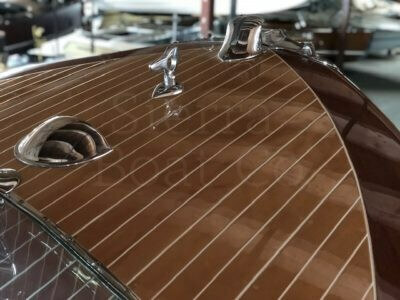 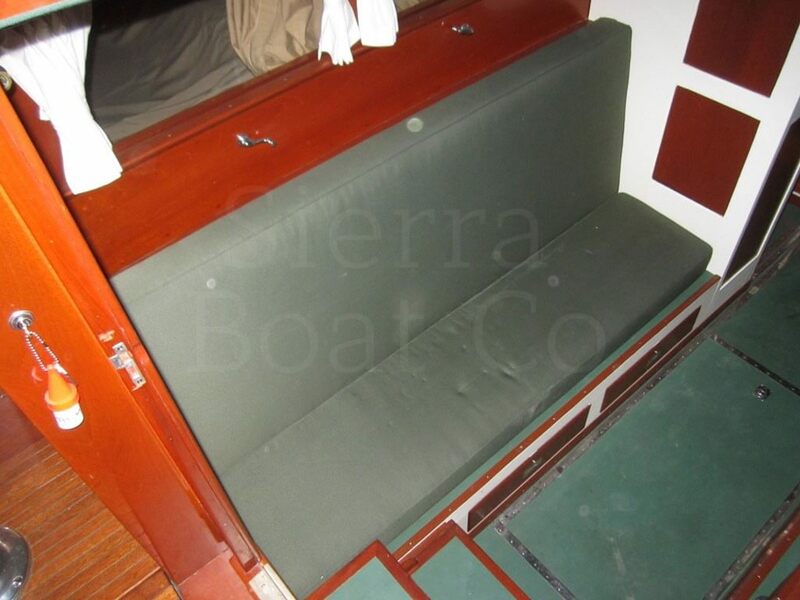 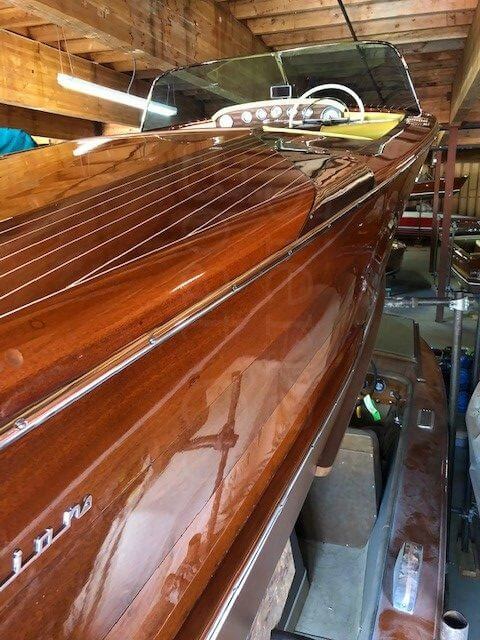 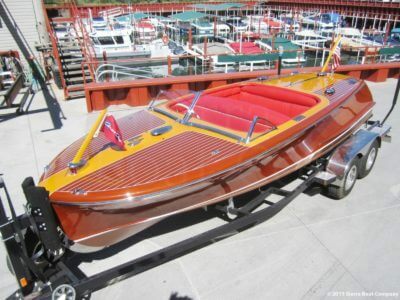 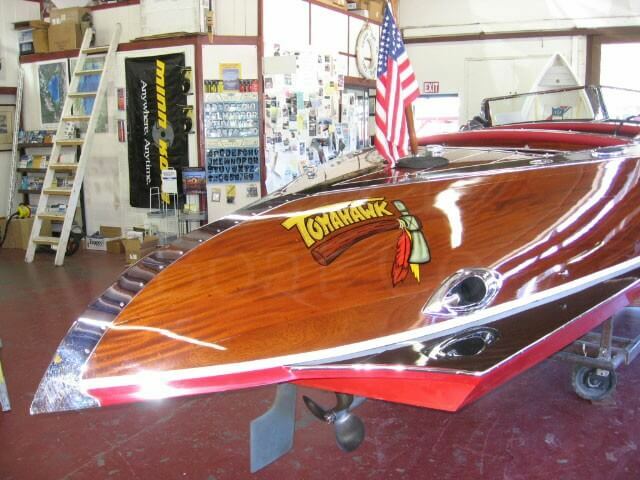 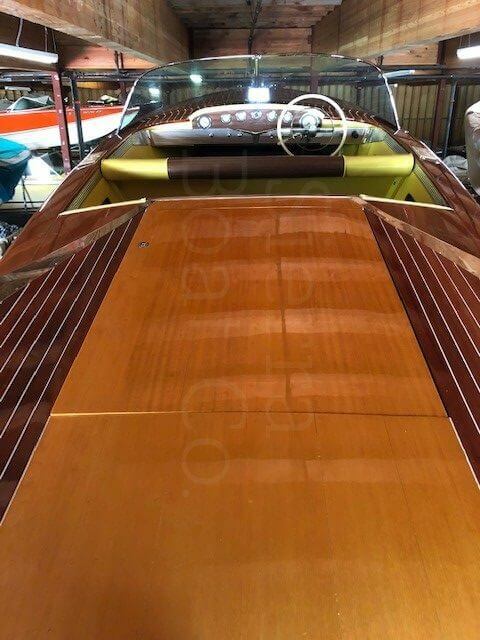 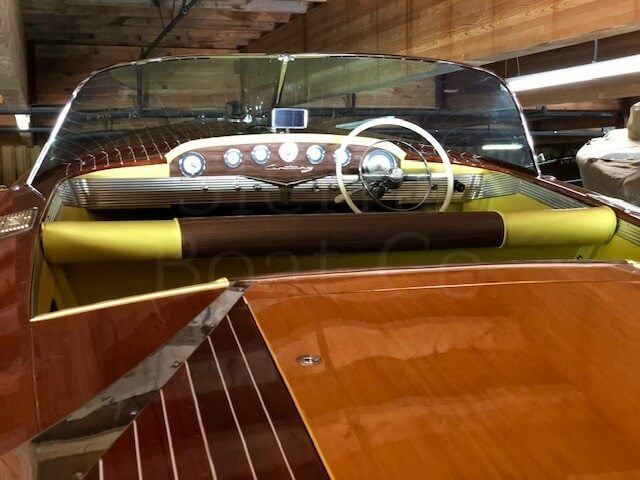 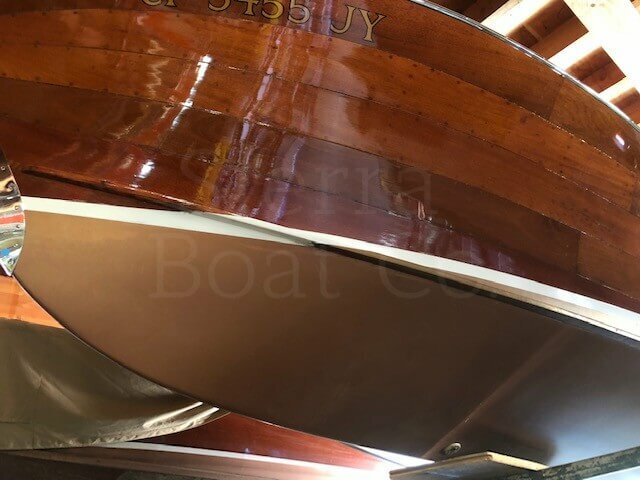 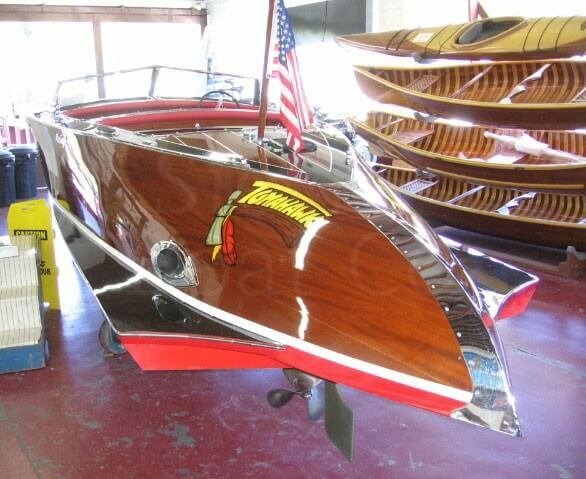 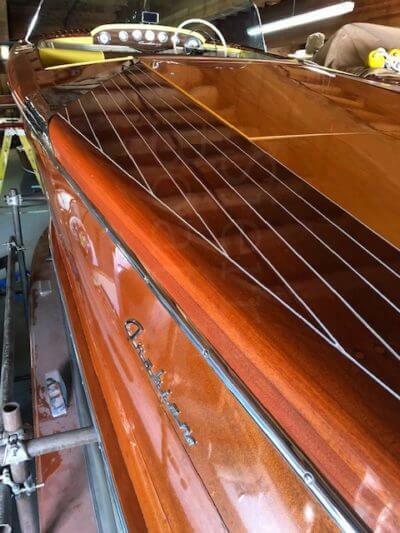 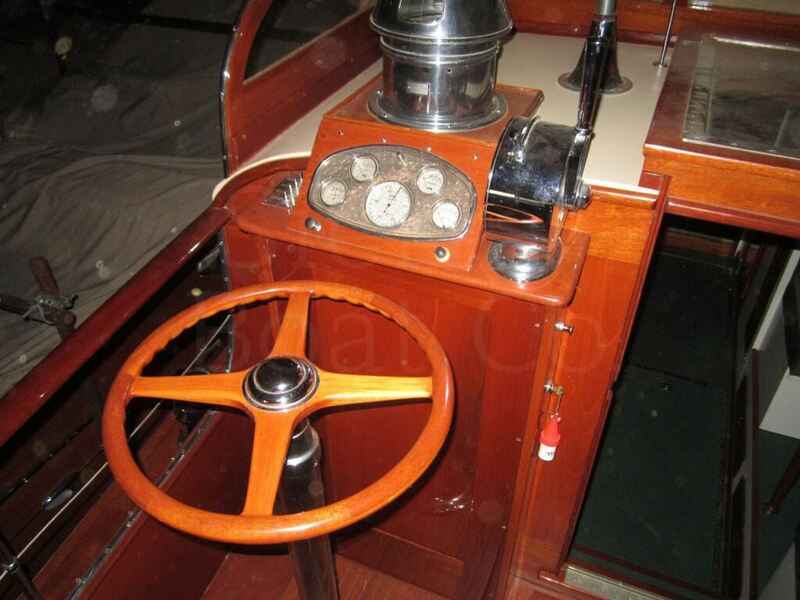 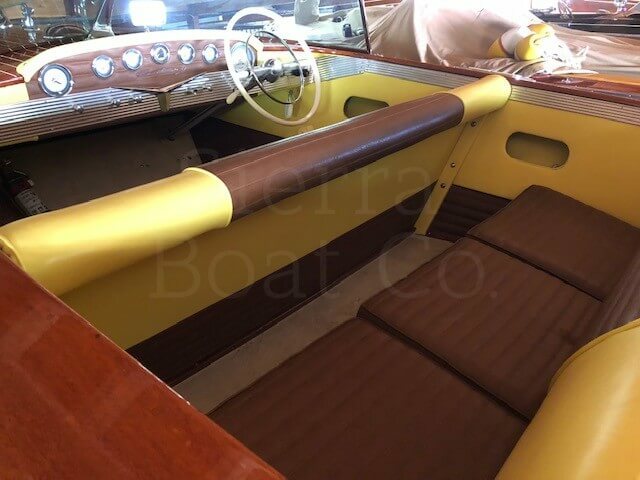 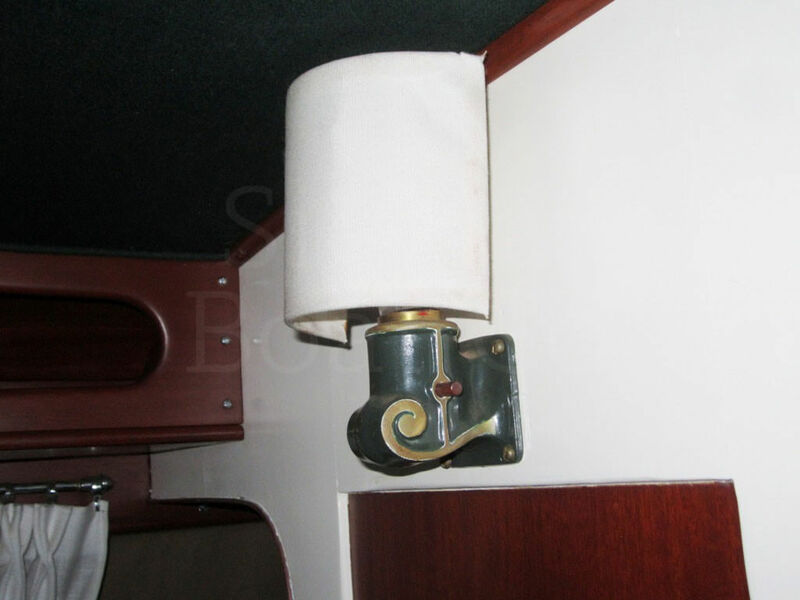 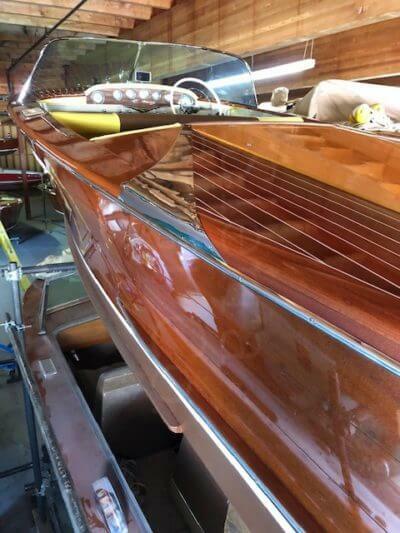 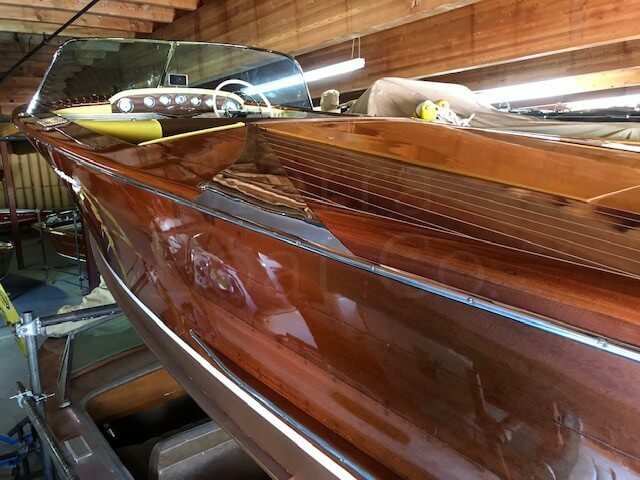 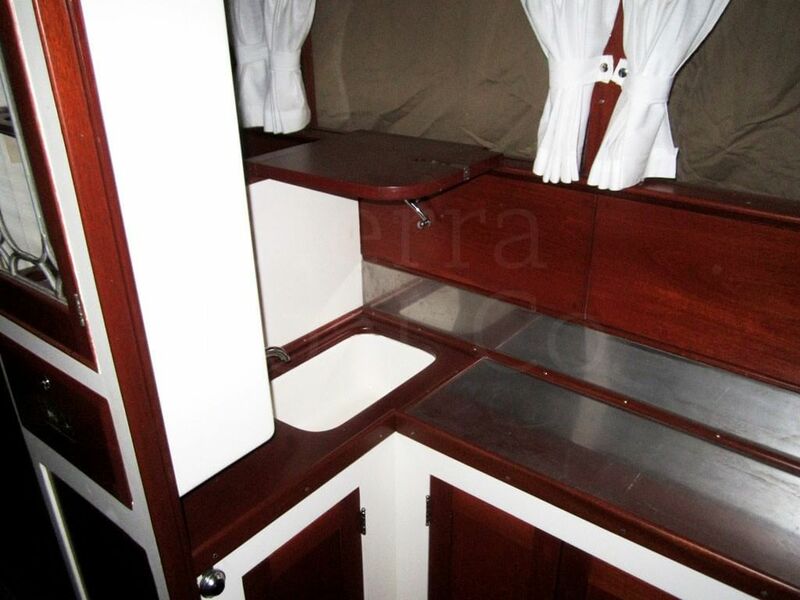 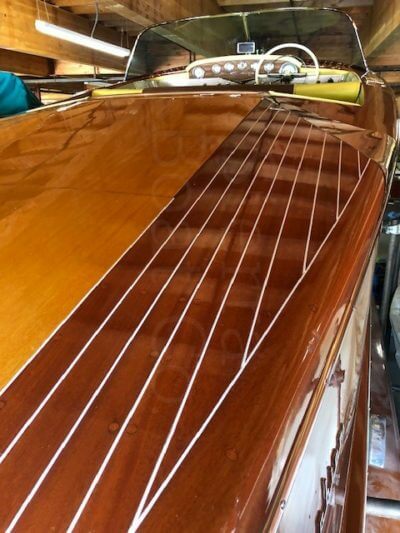 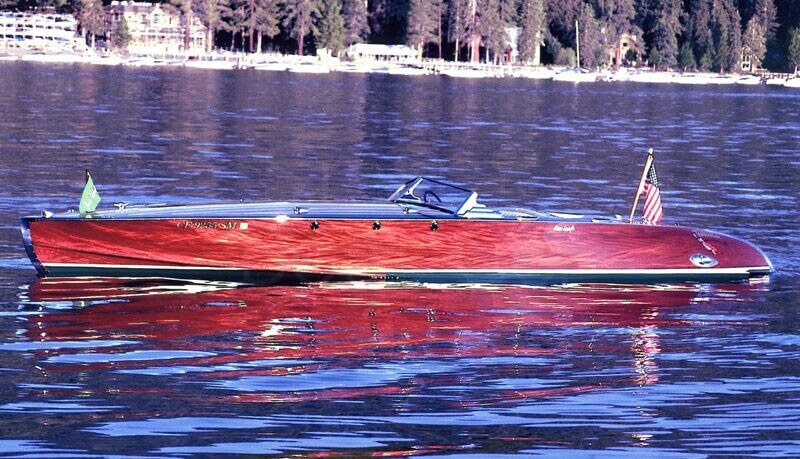 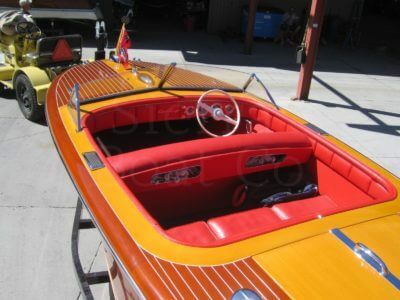 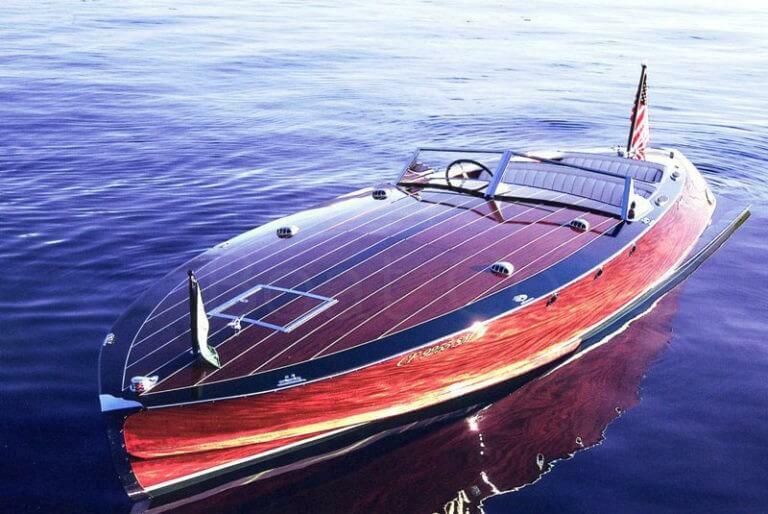 This boat has stunning blond Avidore decks offset by red African mahogany. 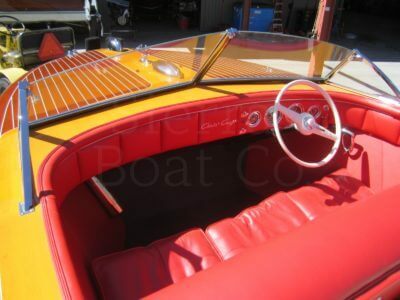 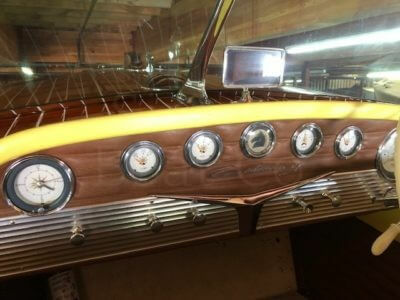 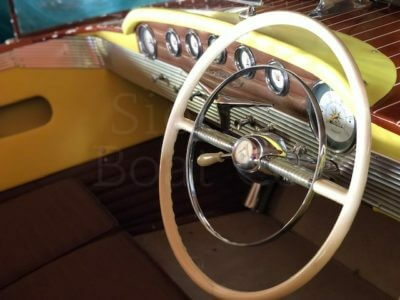 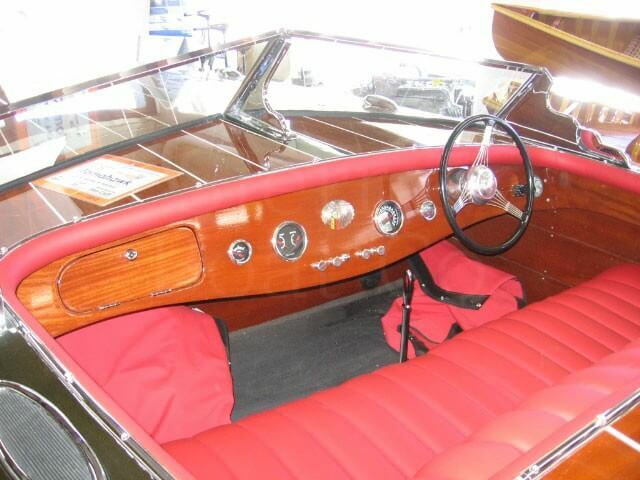 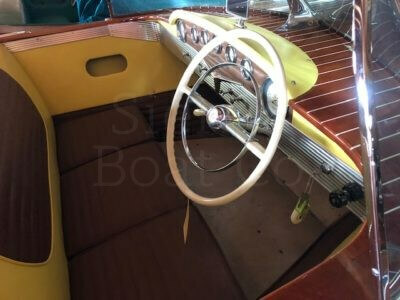 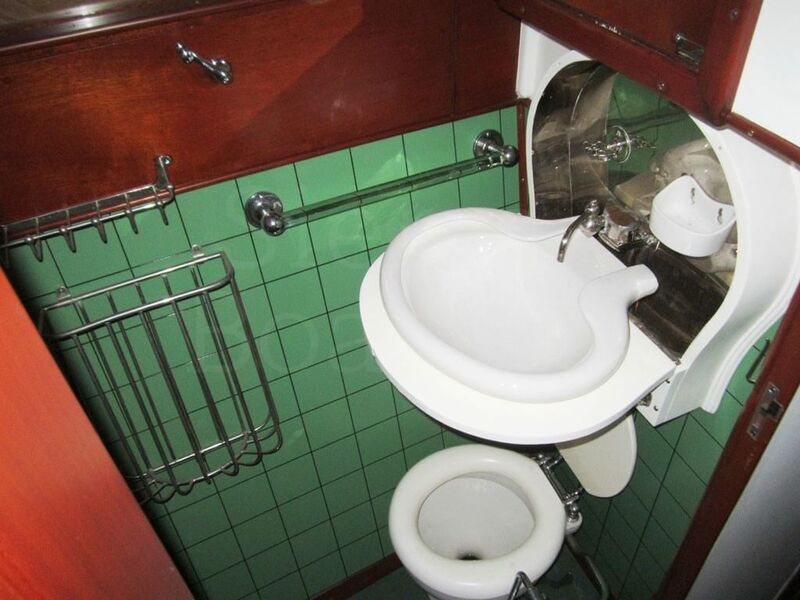 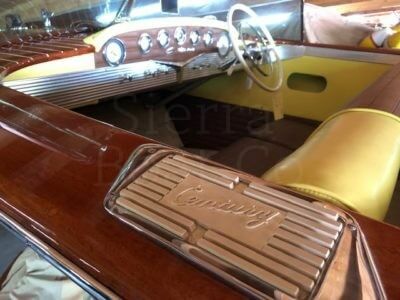 The yellow and brown upholstery is the original styling and in excellent condition. 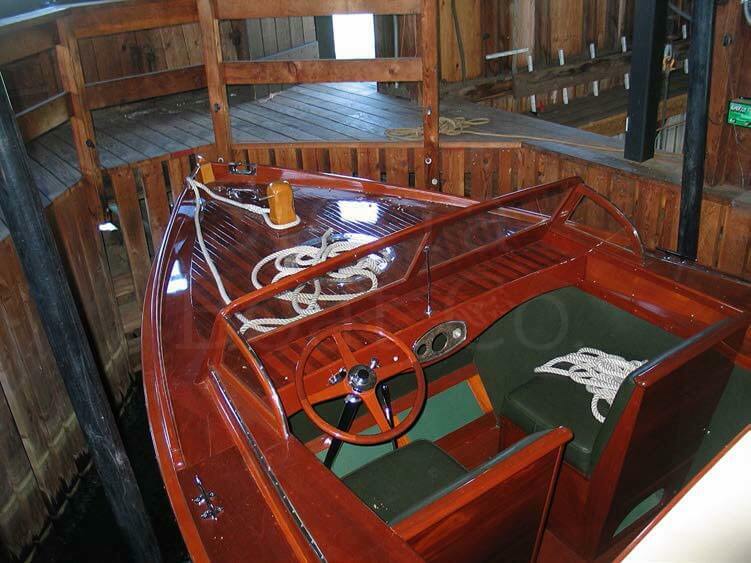 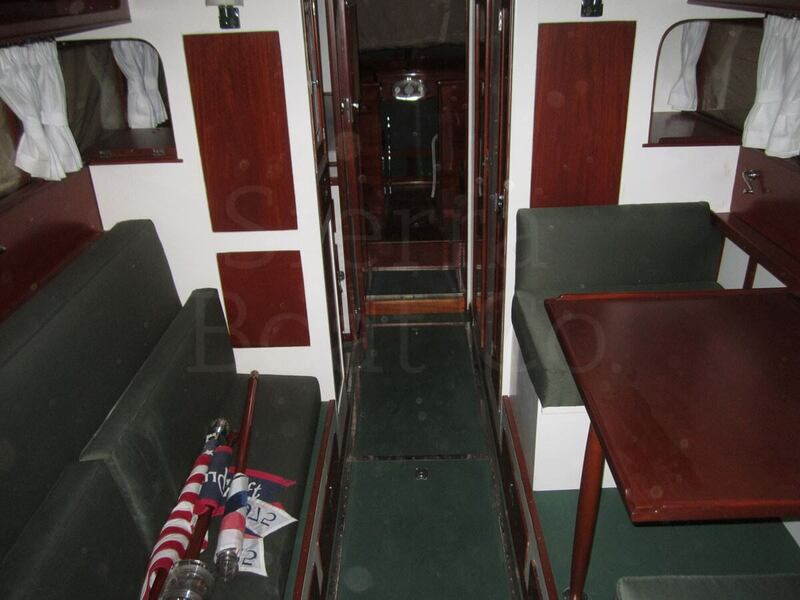 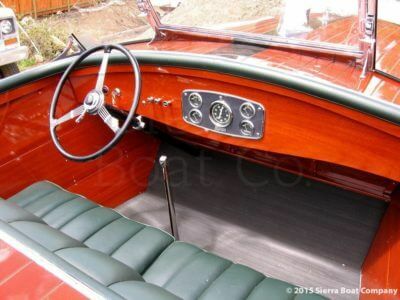 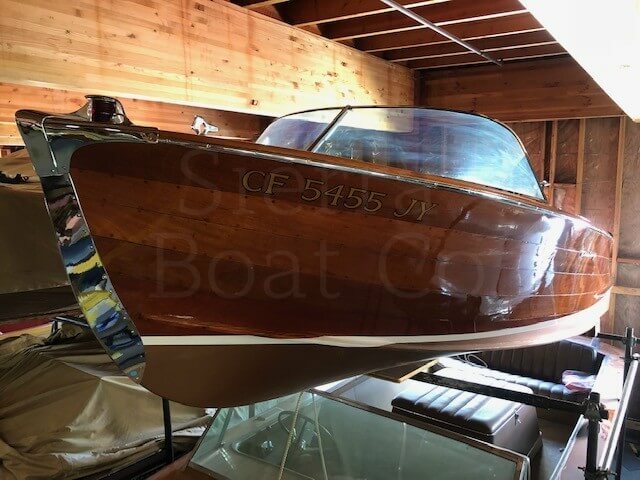 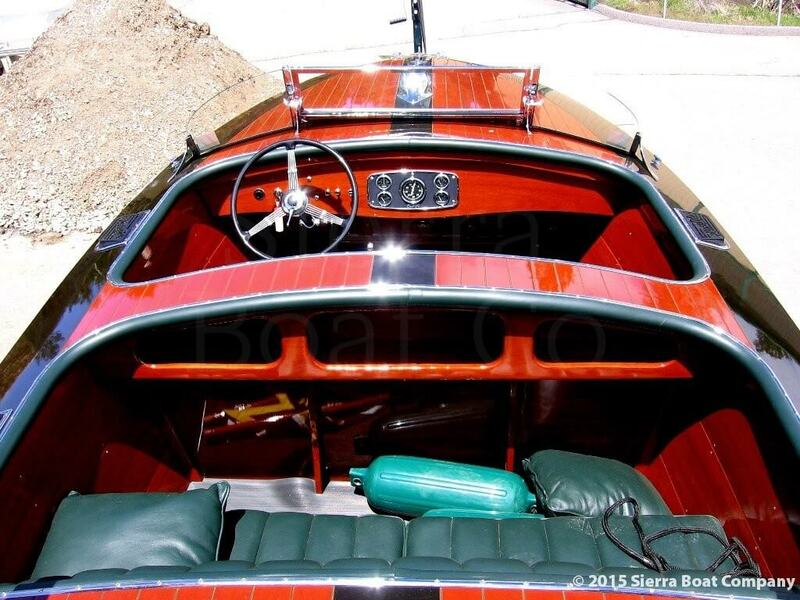 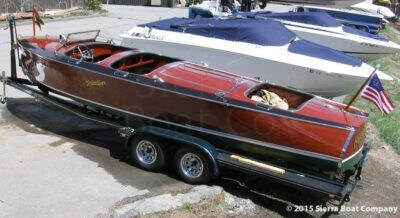 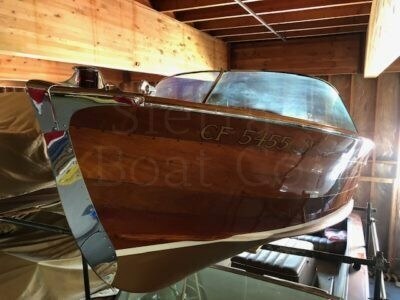 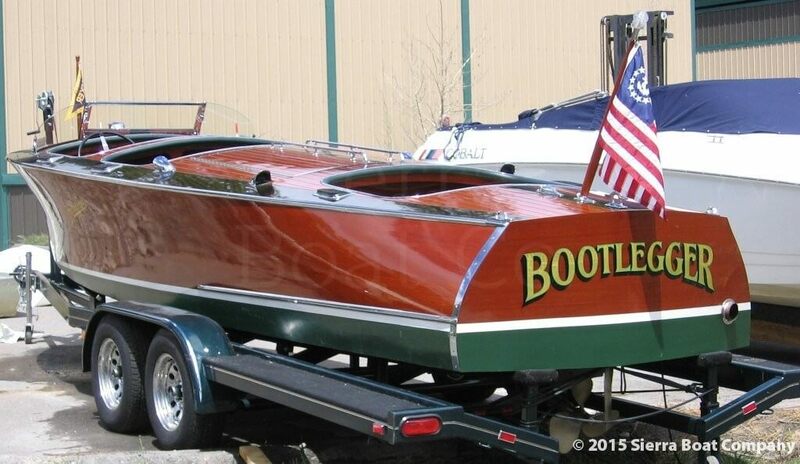 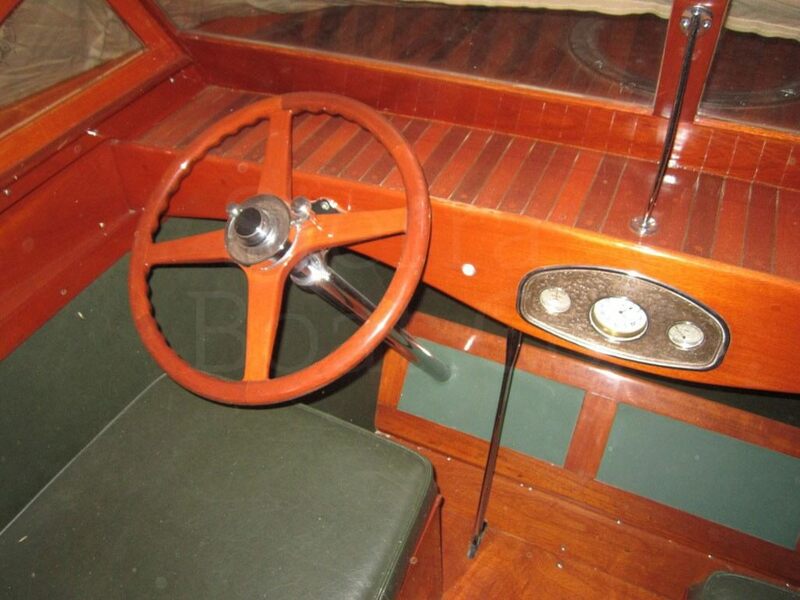 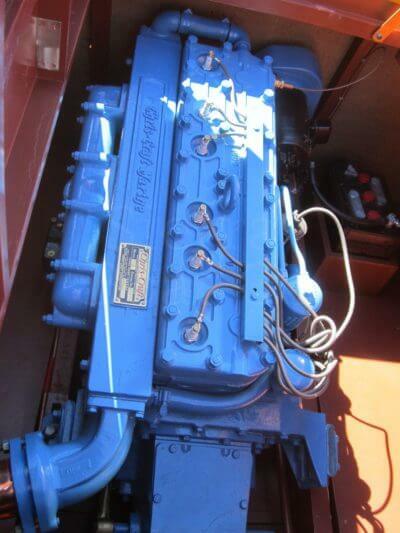 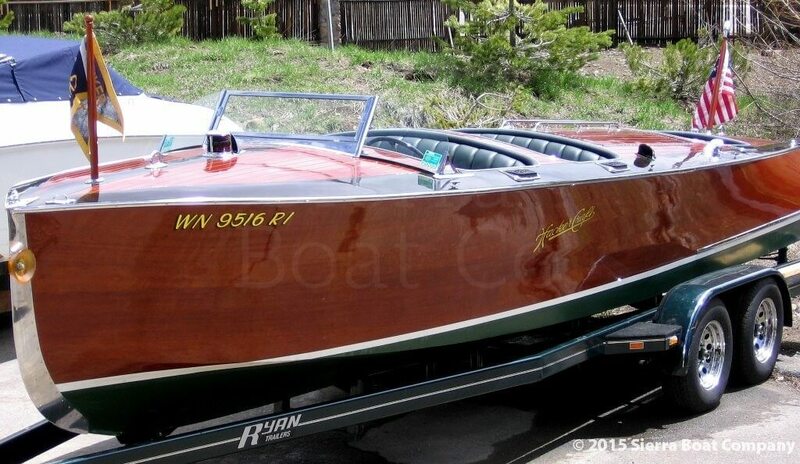 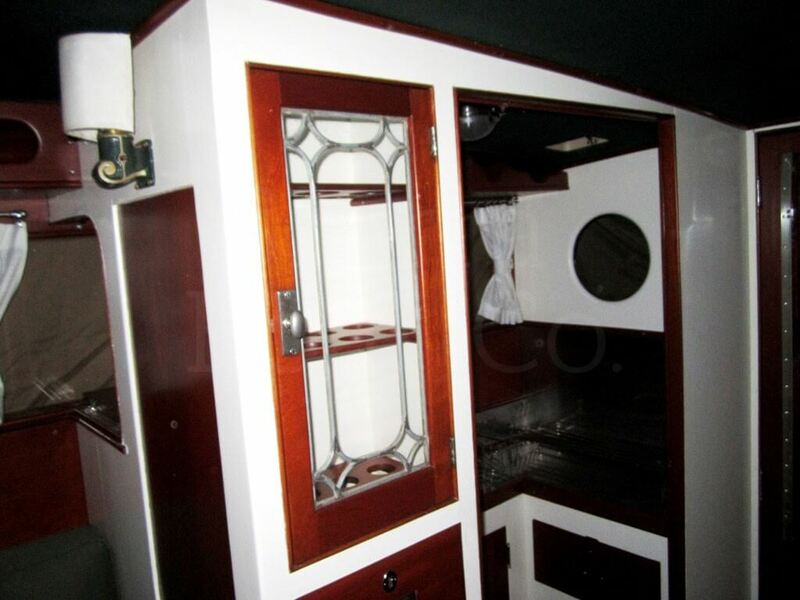 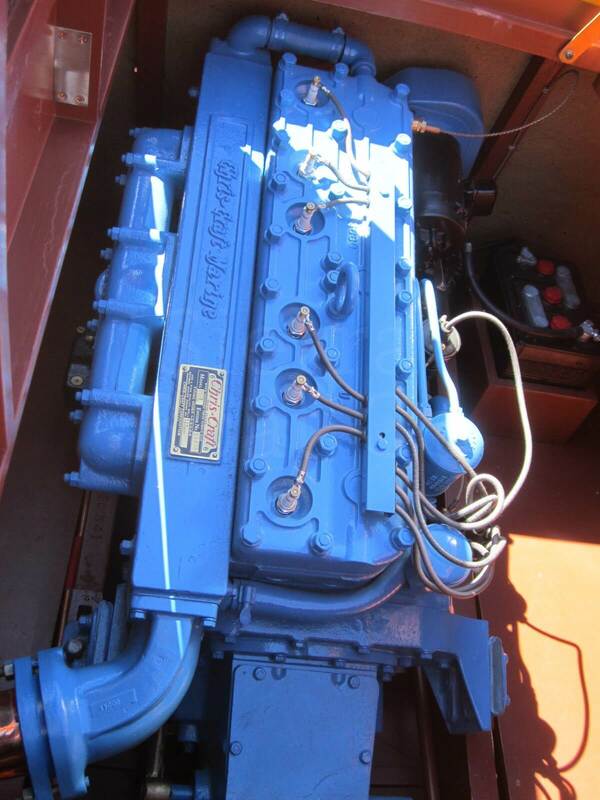 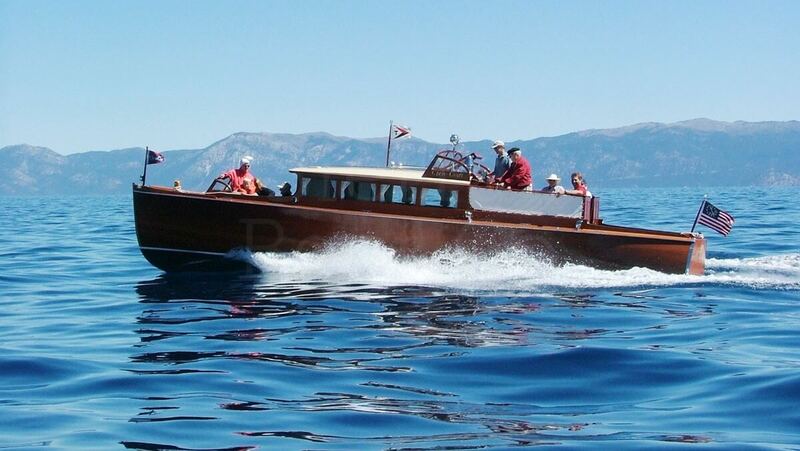 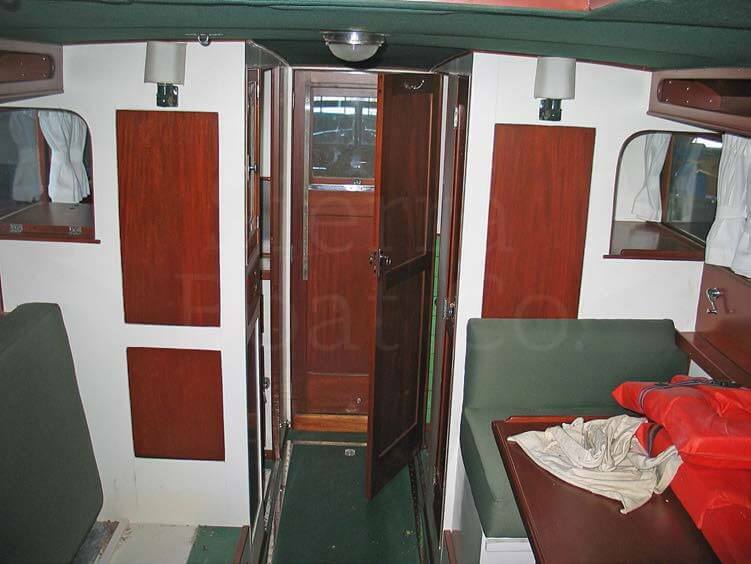 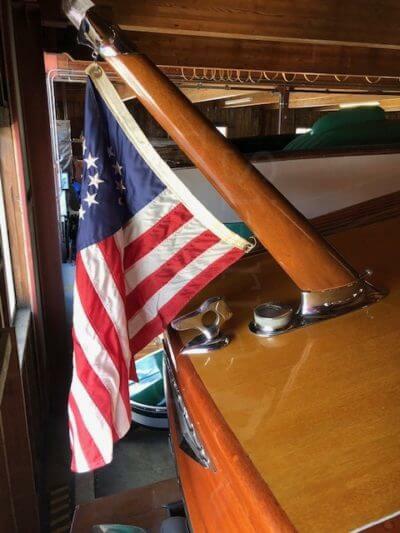 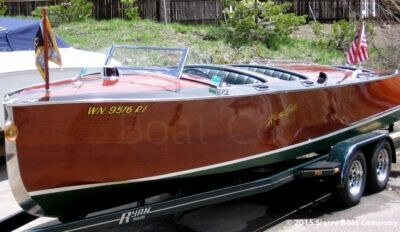 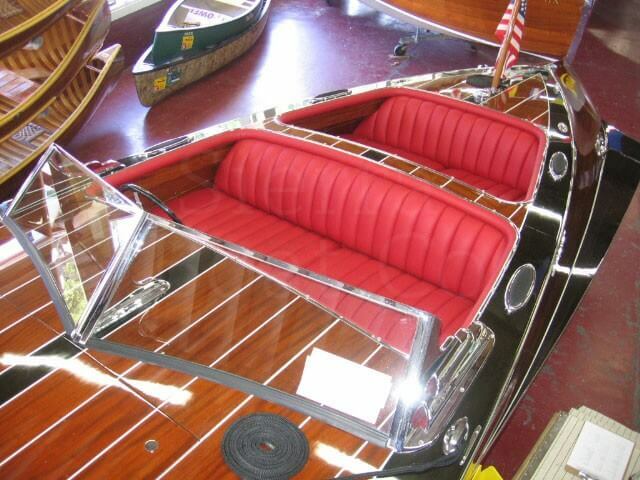 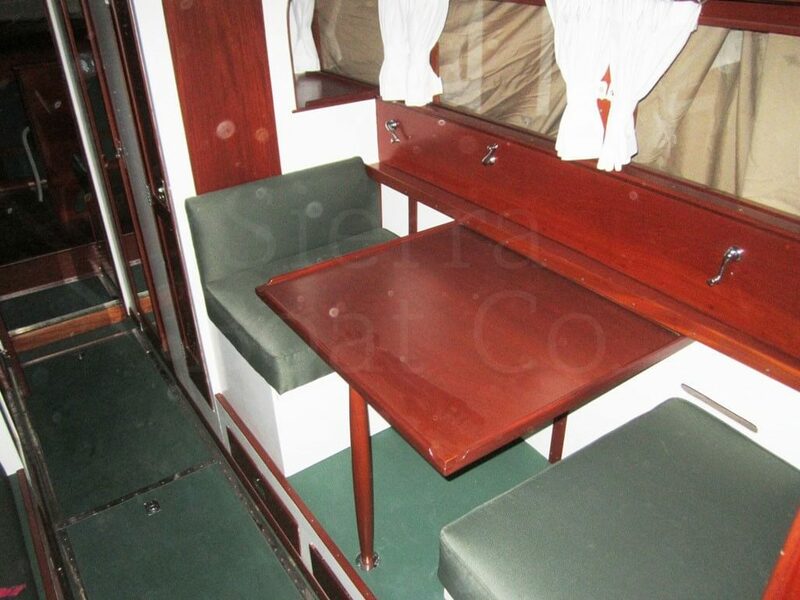 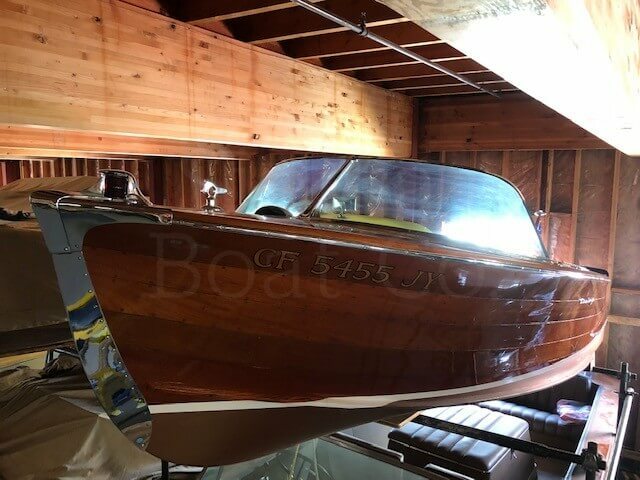 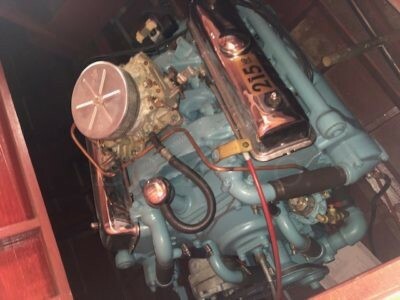 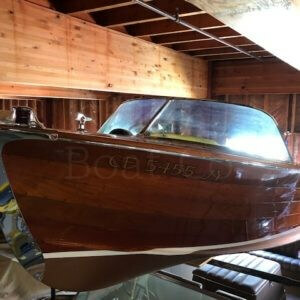 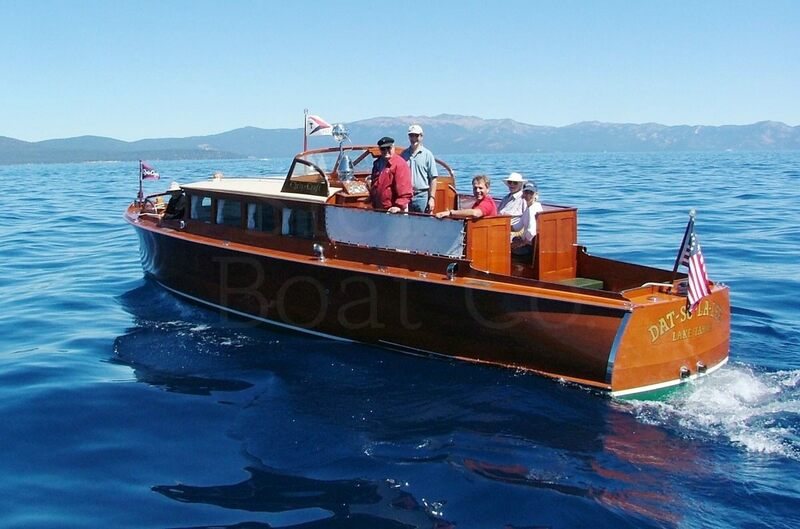 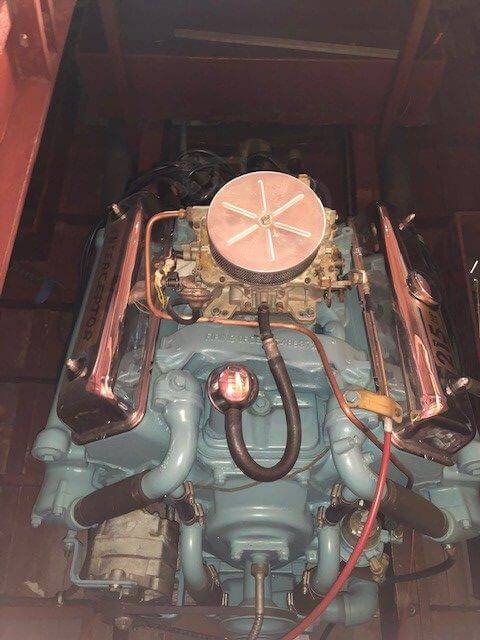 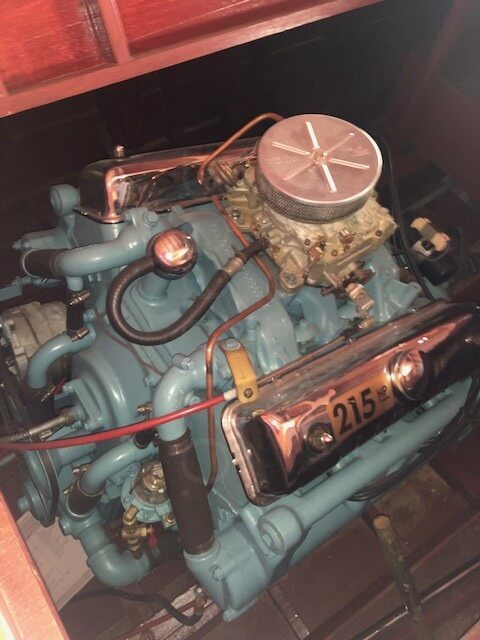 This is a great opportunity to buy a fully restored boat at a fraction of the cost of the restoration.